“They all run and break off into their designated rooms when I call cookie time." Ever since Dani Viverito was a kid, she’s always had a soft spot for dogs. 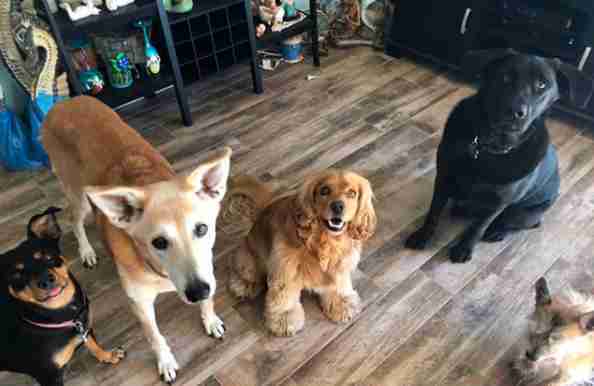 Anytime she found a stray or injured dog, she would bring him straight home — which is why, currently, she and her husband have seven rescue dogs. 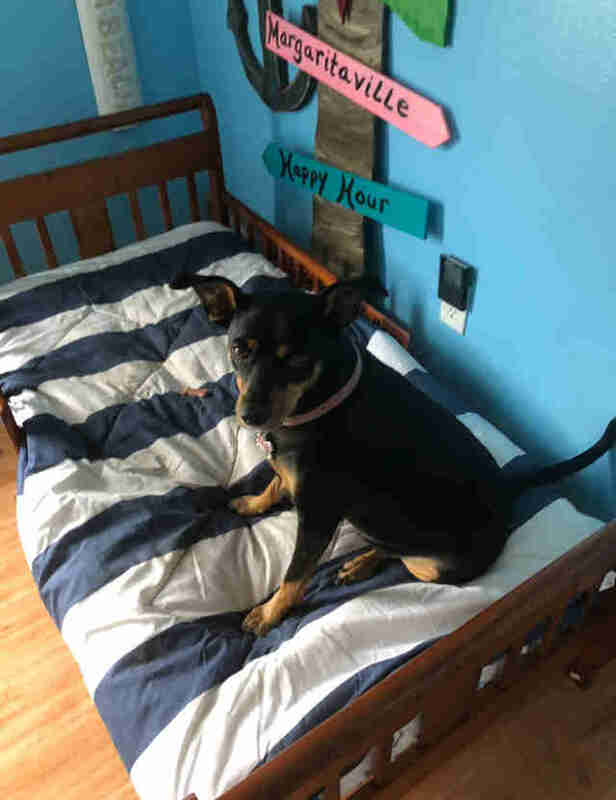 With so many rescue dogs with so many different backstories living under one roof, there are a lot of different personalities roaming around the house, which is why Viverito and her dogs have a very strict schedule in place to make sure that everything runs smoothly and no one is ever left out. When nap time comes around, every dog knows exactly where to go — because they all have their own designated bedrooms. 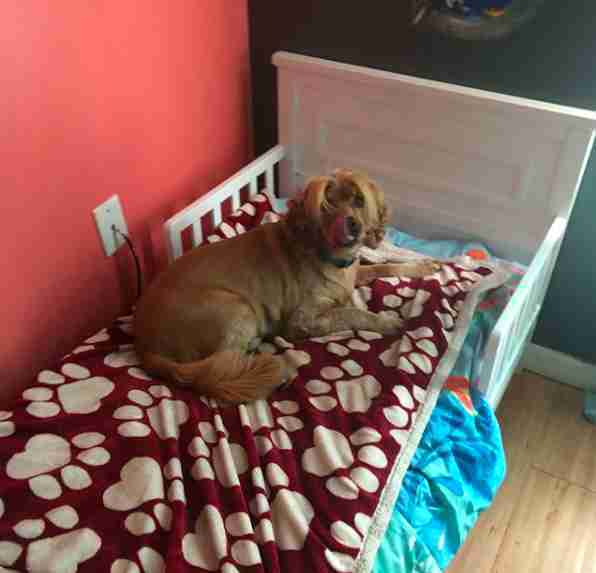 Not only do the dogs all have bedrooms, but they also all have their very own toddler beds. 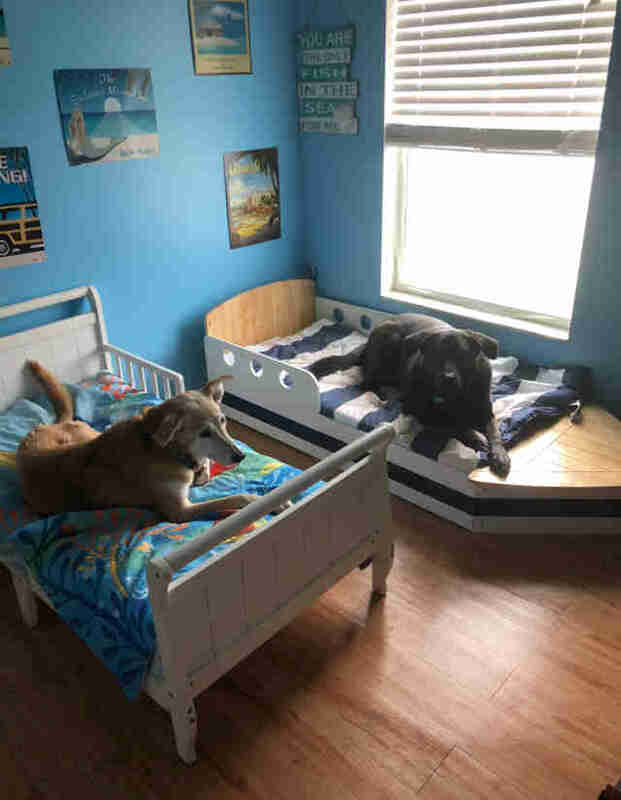 The toddler beds fit them perfectly, and every single dog loves them so much. 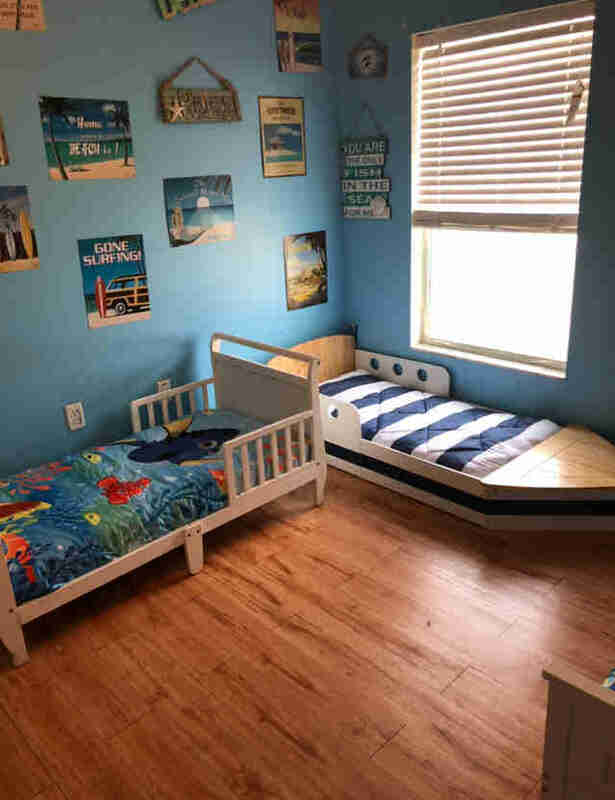 Viverito got the idea to buy her dogs toddler beds because she used to have a few queen-sized mattresses lying around for the dogs who had trouble getting up onto beds and couches. The huge, heavy mattresses were hard to move around and clean, though, which is why she eventually switched to beds meant for tinier humans, and that apparently works perfectly for a pack of dogs. 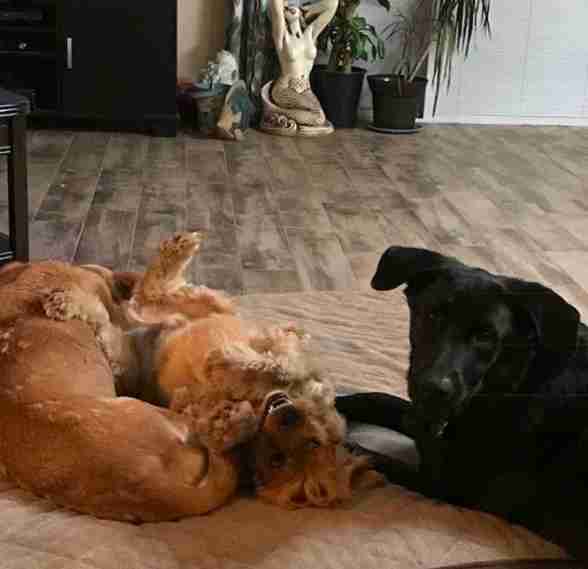 Having seven rescue dogs all living together can get a little hectic at times, but Viverito and her husband love their pack so much and wouldn’t trade them for anything in the world.